As Maysoon al-Masri struck out for the Israeli border with Syria on a pitch-black night last summer, she struggled with second thoughts — and with the kind of homesick remorse that is impossible to shake. The former journalist and her husband slipped through the dark, ruined streets of Daraa in southwestern Syria toward a pre-arranged meeting point on the border, where — with the help of the Israeli military — they became exiles, travelling west in the hope of a new, peaceful life. "I was really upset. I didn't want to leave home," al-Masri told CBC News in an exclusive interview. "It was like ripping roots from the ground." As she and her husband approached the border, she was struck by the knowledge that she might never see her family again. Over almost five years, al-Masri bore witness to some of the most terrifying, brutal episodes of her country's long, unfinished civil war. Moments of grace punctuate her horrific memories like bright lights in a dark room. Carrying a wounded young boy to hospital in her arms. Squeezing the hand of a woman writhing in pain, whose burn dressings were being changed without medication. CBC News has learned Canada has accepted 117 Syrian refugees — former White Helmet emergency volunteers and their families, rescued in a dramatic international evacuation in July. That extraordinary effort involving Israel, Britain, France and Germany was driven by Canada, which repeatedly has singled out the volunteer first responders as heroes. Several Western countries, including Canada, agreed to resettle the volunteers, who have waited months in a United Nations refugee camp in Jordan. The now-former White Helmets destined for this country arrived quietly last week and will find new homes in four provinces: British Columbia, Saskatchewan, Ontario and Nova Scotia. CBC News was granted exclusive access when the largest group of seven families arrived at Pearson Airport in Toronto on Tuesday. Some stayed in southern Ontario, while others moved on to different provinces and new homes. 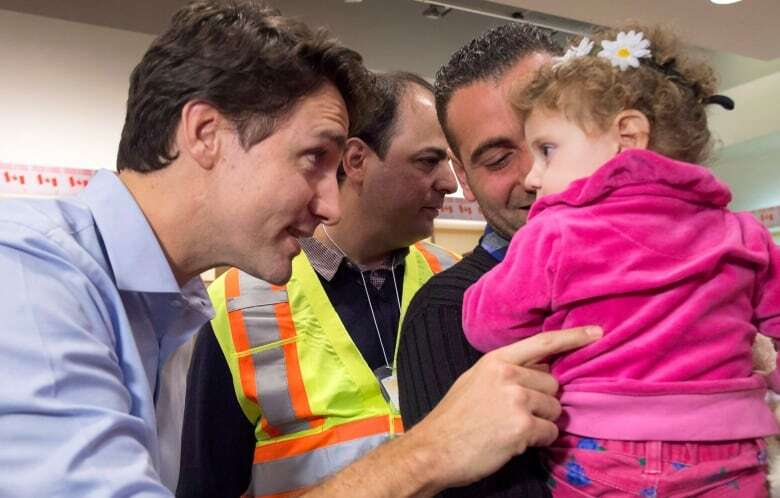 It was a low-key welcome, with only a single representative of the White Helmets in Canada there to greet them — a stark contrast to the scene three years ago, when Prime Minister Justin Trudeau personally welcomed the first wave of 52,000 Syrian refugees to this country. Among the recent arrivals was al-Masri, who visited Canada last spring as part of an international outreach effort by the White Helmets, who are condemned as terrorists and propagandists by the regime of dictator Bashar al-Assad and his ally Russia. Both governments have gone as far as to accuse the first responders of faking atrocities. The White Helmets — runners-up for the last Nobel Peace Prize and likely to be nominated again this year by human rights lawyer Irwin Cotler — have witnessed and documented the savagery being inflicted upon ordinary people in Syria. Backed by Russian airpower last spring, Assad's forces drove towards Daraa, which has been described as the cradle of the rebellion — one of the first cities to rise up in protest during the 2011 Arab Spring. The White Helmets in the city had a target on their backs — something that became obvious as government troops started cutting off roads in the region. They knew what their fate would be if they stayed. They knew what would happen to their parents, spouses and children. "The reason we left was to escape arrest," said al-Masri in a translated interview. "We are not scared of dying. We're scared of being tortured and what would happen to our families. Our situation was very dangerous." The evacuation plan emerged in early July after Robin Wettlaufer, Ottawa's special envoy to Syria, received an urgent appeal from one of the leaders of the group. It was a risky plan, one that relied largely on coordination inside Syria through WhatsApp text messages — which al-Masri said worked fine only when they had internet access. The international community expected to remove up to 1,200 evacuees — first responders and their families. In the end, only 422 Syrian White Helmets and their families managed to get out last July. Hundreds remain trapped in Syria. Some of those who tried to escape through other means were betrayed by their neighbours — and even by rebels who had been granted safe passage out of the area by the Russians. "There were people from the neighbourhoods that knew us," she said. "Rebels would go talk to them when buses would come up to checkpoints. The rebels would get on the bus and anyone that they knew worked for the White Helmets, they would take them away." The fate of those arrested is unknown, al-Masri said. Some White Helmets still trapped in Syria managed to make it to rebel-controlled territory. Some of them have sent texts to al-Masri pleading with her to get them out. One such appeal arrived recently from a friend. 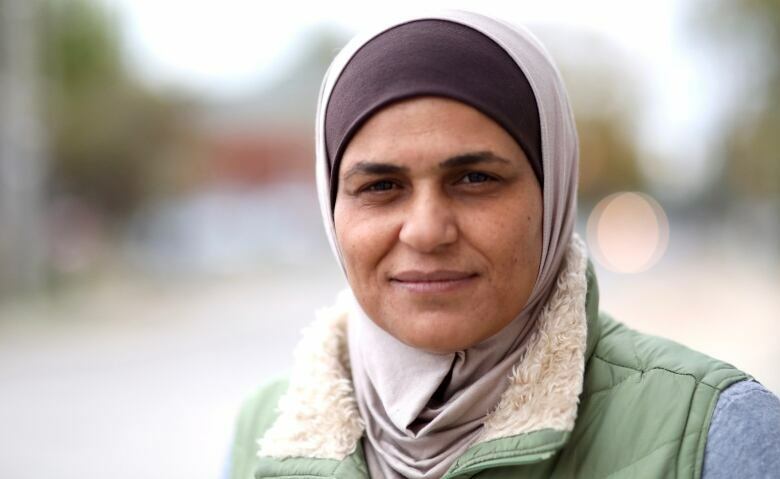 Al-Masri said she has not answered yet — because she doesn't know what to say. She said she believes the international community must undertake a renewed attempt to rescue the rescuers who desperately want to leave. Al-Masri offered an extraordinary account of life in the Azraq refugee camp, which is home to 40,000 other Syrians who have fled to neighbouring Jordan. Upon arrival, she said, their smartphones and electronics were confiscated. The devices were wiped and returned only as the UN was escorting them to the airport for departure, said al-Masri. The White Helmet volunteers and their families lived in the camp in metal huts as temperatures hovered around 40 C for two months. There was infrequent and incomplete access to doctors and medical staff, she said. One of the women who was resettled in Canada with al-Masri, and who did not want to be interviewed, was pregnant during the evacuation and gave birth only two weeks ago. She had trouble getting access to a doctor in the camp, al-Masri claimed. Muzna Dureid, who represents the White Helmets in Canada and was at the airport to welcome them, said she hopes the misery is over for these former first responders. "It's giving them a safe space, peace, and what they need ... protection," she said. They left the war behind. The memories will follow them forever. Just prior to boarding the flight for Canada, al-Masri learned her 32-year-old nephew, also a White Helmet, died recently. "What we lived through was difficult and we will need time to move on from the memories," she said. "Even now, even though we know we're safe, the sounds of the missiles and bombings are still here. When a car drives by us, or we hear a weird noise, we automatically try to get into position and take cover."